This was a doodle I did while waiting for some friends at the bar. 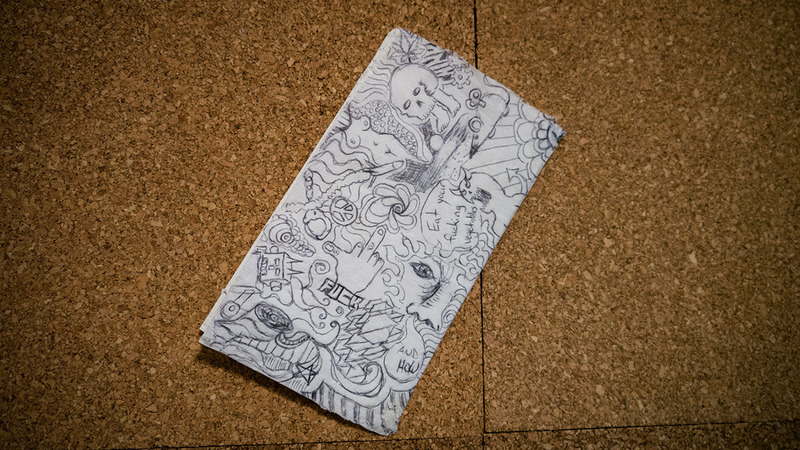 I showed up about 30 minutes early and asked the waiter for a pen and started doodling on my napkin. It just all flowed out and I liked it so much I kept it.